Elliot Tapper is Assistant Professor of Medicine at the University of Michigan Health System. He is a hepatologist who cares for patients at Michigan Medicine and the Ann Arbor VA. His research interests are in defining the predictors of and developing interventions to prevent adverse events for patients with advanced liver disease. If I were a patient with cirrhosis, I’d rather not need a renal consult, but if I did, I would prefer @VelezNephHepato. As expected, Dr. Velez has selected two excellent matchups for the Hepatorenal Region. This hepatologist, however, wants one to go all the way. Cholemic AKA bile cast nephropathy has a long and storied history that features nosological giants like Quincke, knockout mice, and magically greening kidneys after formalin fixation. It is often overlooked. Hepatorenal syndrome, for example, generally occurs in patients with very sick livers who are also jaundiced. Jaundice (likely reflecting higher circulating bile acids), in turn, is a risk factor for non-response to terlipressin in the treatment of hepatorenal syndrome. More common than mechanistic studies of mice (with or without ursodeoxycholic acid therapy), however, are case reports suggesting a role for bile cast nephropathy, each of which are confounded by the severity of underlying illness (eg cholangitis, fulminant or acute-on-chronic liver failure). Compounding this problem is that in order to study cholemic nephropathy, we need tissue and that issue introduces even more confounding. As clinicians, we neither routinely biopsy our patients’ kidneys, nor do we prefer to settle differential diagnoses with an autopsy. Accordingly, studies that report renal pathology for patients with cirrhosis are sure to have included the sickest of the sick patients with multiple reasons for renal injury. Though it is tempting to ascribe causality to bile acids, studies confounded by the indication for and selection associated with biopsy (let alone autopsy) can only provide associations. It is always easiest to tell a triumphant story in reverse, but picking a winning diagnosis must be done prospectively (with diagnostic criteria in living, breathing kidneys). When cholemic nephropathy raises its head on the wards, it is a red flag that a patient is seriously ill. Unfortunately, it presents the sort of unfalsifiable hypothesis that brings physiology and even levity (see: green kidney) to our rounds, but little change in management. First, and foremost, as a clinician I submit that if the choice is between norepinephrine and terlipressin, then the clearest winner is the patient. How I long for the day when we can dispense with the expensive placebo that is midodrine and octreotide and get down to the business of saving kidneys! Second, to be a winner, I must be allowed to use the drug. It is rare that we can start norepinephrine on the ward. Conversely, having participated in the present and prior American trials of terlipressin, this vasopressor appears to have been seamlessly integrated into ward nursing protocols without trouble. At the same time, unless terli demonstrates efficacy in the US and gets approval from the FDA, I could not use it if I tried. Third, and finally, the question of whether the secret to success is splanchnic vasoconstriction vs raised MAP must be settled through dedicated mechanistic study. True, on balance, outcomes may be optimized with higher MAP. 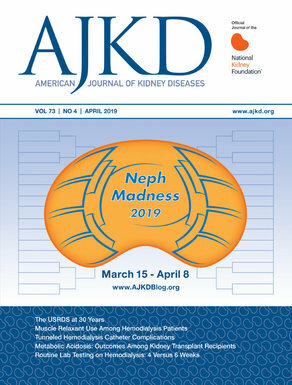 Everyone should read the pooled analysis by @VelezNephHepato. However, it may be impossible to reliably measure splanchnic blood flow in a sufficient number of patients to call the fight in favor of one mechanism. Until a trial shows that patients receiving terlipressin fared better than a comparator that was just as likely to increase the MAP, I will vote arterial, Team #Norepi.